From the Orioles.com: All four of Baltimore's affected players -- first baseman Kevin Millar, left fielder Jay Payton and infielders Alex Cintron and Juan Castro -- were designated as neither Type A nor Type B free agents. That means that there is virtually no advantage to offering them arbitration, beyond the possibility that they'd accept and stay in the fold. Millar has voiced his desire to come back to Baltimore for a fourth season, though, and will likely be available to sign late in the process. With that in mind, his candidacy may become more attractive over time. I say bring Millar back -- if the team needs him, and he's willing to play a reserve role; however, let's see what's on the open market and via trade before considering him as an option. Everyone else, we can live without on the squad. The Boston Globe's Nick Cafarado has a general baseball round-up section on the Boston.com website (that does a bang-up job of covering the sport) and there's a Q&A with former Oriole Jay Payton. It seems the Red Sox have a need for a righthanded-hitting outfielder. Any interest in coming back? JP: "When I talked to my agent recently, Boston was the first team I mentioned. I don't know if it's in the cards or if I squished my chances of ever returning there. I know the circumstances of my departure from there a few years back were blown out of proportion. I've talked to Tito [Terry Francona] several times since then and we're OK. I'd love the chance to go back there because that's a winning organization and they're committed to winning. They do things the right way." Enjoy your time in Baltimore and any chance of going back? JP: "I wish we could have won more and I wish I could have played a little more, but it became obvious they're going with younger guys. I would never say never to anything, but it seems they're looking for younger players." Interesting words. As it is right now, Jay Payton is obviously not coming back to Baltimore and the team is looking to get younger; however, he did do a decent job in coming off the bench and playing the outfield in spots while Jones was hurt. I'd be curious to see where he ends up in light of the economy, his numbers last year and also his age. I would not say Payton was productive while in Baltimore, but he always looked to be in shape, and was intense as you could get on the field. Hope everyone is having a great Thanksgiving holiday weekend and recovering from Black Friday -- assuming you partook in it -- however, it looks like the Orioles may now be involved in some trade talk now. Well, if you have had your pulse on the news, it seems like the Oriole and Cubs are annual trade partners; thus, there may be something in the works -- again. From the Baltimore Sun: The Orioles have revisited trade talks with the Cubs about outfielder Felix Pie, according to industry sources, and could end up as the third team in a three-way deal that would send marquee right-hander Jake Peavy from the San Diego Padres to Chicago. Pie, once considered one of the best young prospects in the game, was an Orioles target at this time last year when the two teams discussed a trade involving two-time All-Star second baseman Brian Roberts. Orioles president Andy MacPhail said today that a deal is not imminent but acknowledged that Pie is the kind of player the Orioles are pursuing to broaden the club's position depth. "We have a lot of different irons in the fire," MacPhail said. "We're in the process of determining who our trading partners might be and which free agents we might have a chance to sign. We're basically in the same position as everybody else, waiting for a couple of big dominoes to fall." Right now, considering Jones is in the fold in center field and Markakis is in right, I don't know if he's a fit for the team unless someone is moved. However, Pie has promise, and a place like Baltimore -- assuming he can live up to his potential -- could be one where he shines, plus could be another young player to be added to Baltimore's long term plans. The Padres, who are limited in trade talks for Peavy because of the 2007 National League Cy Young Award winner's no-trade clause, covet Garrett Olson, a Southern California native. This offseason, the Padres asked for Olson in exchange for veteran shortstop Khalil Greene, but the Orioles rejected the offer. Olson, 25, is 10-13 with a 6.87 ERA in 33 starts over two major-league seasons. The Padres and Cubs have been looking for a third team to get involved in the Peavy trade talks because Chicago reportedly doesn't have all the young, major-league-ready pieces San Diego is seeking. I'm not sure we should trade Olson -- he's shown flashes of brilliance at times, despite being inconsistent in 2008; however, the Orioles need to yet younger, and a player of Pie's pedigree and potential does not come by too often. The Cubs have their needs, as do the Orioles and Padres -- two teams that will most likely be in the second division in 2009. Again, Pie seems to be quite inciting. What would he coming to Charm City factor into Luke Scott or Lou Montanez's playing time? I'm split on doing this move; however, if the Padres add another piece -- primarily an infielder -- it might be move worth making especially if it could perhaps open the door to what could potentially transpire. Don't hold your breath on this. There are some complicating factors, primarily the three-year, $52 million contract extension Peavy signed that guarantees him an average of $16 million per year from 2010 through 2012 (on top of his $11 million for 2009 and including a $4 million buyout if his $22 million option for 2013 doesn't get picked up). Taking on that contract probably is going to require approval from whoever makes the highest bid for the Cubs franchise, which is being sold by the Tribune Company. The deadline for bids is Monday. Stay tuned. Something may happen, or it may not. Being that good pitching will more than likely come at premium, and many of the youngsters down on the farm are simply not ready yet for the majors, the Orioles are looking at the Far East for some more talent -- especially arms. I first saw this development on Steve Melewski's blog on MASN Sports, and there was a follow-up article in the Baltimore Sun on Thursday. From MASN Sports: Sources say the O's are looking at pitchers Koji Uehara, Kenshin Kawakami and Junichi Tazawa along with catcher Ryoji Aikawa. Tazawa is a 22-year-old amateur who asked the Japan pro teams to avoid drafting him since he wanted to play in the United States. The O's are likely a longshot to get Tazawa, who has received an offer this week from Texas, while some in the industry consider Boston the front-runner to get this pitcher who will likely start next season in the minors. Uehara is a 33-year right-hander, who is 112-62 with an ERA of 3.01 in ten seasons with the Yomiuri Giants. 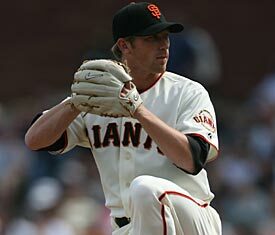 He pitched in relief in 2007 and had 32 saves. Uehara throws four pitches including a fastball that ranges between 86 and 92. Many big league clubs are looking at him for bullpen help but sources say the O's see him as a possible back of the rotation starter. Kawakami is a 33-year-old righty who went 9-5, 2.30 last year for the Chunichi Dragons. He has spent 11 years with that club. He is a pitcher with excellent control who has hit 92 with his fastball. Like Uehara, he also projects as a fourth or fifth starter in the Majors. While it looks like Tazawa will sign with the Red Sox and develop through their system, the Orioles are doing the right thing by tapping into Asia. The organization on the major league level need the depth on their roster, and perhaps they are looking in the right place, rather than the traditional journey to the Caribbean where there's obvious physical talent; albeit, most of the time -- very raw and in need of development. Aside from gaining some professional level talent, the Orioles -- if they do things right and grab a tiny piece of the pie in Asia -- could perhaps open a market and start branding the franchise in that region of world, much like the Red Sox, Dodgers, Mariners and Yankees have done. There's frankly not a whole lot going on with the Hot Stove; however, I expect that to change in the next couple of weeks during the Winter Meetings. Camden Chat thinks the team should be looking at Adam Dunn as a subsitute in case we don't get Teixeira; The Roar from 34 has a great post on the truth and urban legends of the Hot Stove Season and how players select their teams; Oriole Central hopes that the hiring of Krivsky isn't the big move of the off-season & Dempsey's Army looks at the career of Mike Mussina. While Oriole nation watches and wonders whether or not Mark Teixeira signs with Baltimore, MASN's "What They're Saying About The Orioles" notes a brief little snippet from CBS Sportsline profiles on free agent first basemen. It mentions someone who has been nothing but a nemesis to the Orioles, especially when it comes to the longball -- Jason Giambi. It now looks like they may be some scant interest in the slugger or this just might be a figment of someone's imagination; however, I am taking it all with a grain of salt. 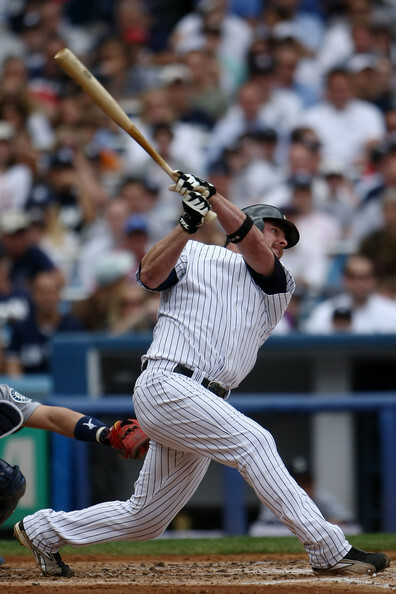 He won't get anything near the $120 million, seven-year deal it took for the Yankees to sign him away from Oakland, but after hitting 32 home runs in 2008, Giambi should be able to find a job. Potential suitors: A's, Yankees, Giants, Blue Jays, Mariners, Orioles. Now Giambi is a free agent after the Yankees declined his option, and from the looks of it, he's not been garnering much attention. While he has not hit for average in several seasons and is a liability in the field -- he still hits for power, drives in runs, draws walks and has a relatively good batting eye. I'm against signing guys on the wrong side of thirty for the most part; however, if Giambi is cheap enough -- and I mean cheap -- the Orioles might want to take a chance on him. Then again, we have a serviceable hitter in Luke Scott, and also potentially Lou Montanez -- assuming he makes the club in spring training -- could serve as DH and do the job Giambi could accomplish. Plus, they are both obviously just not one-dimensional players unlike the former Yankee slugger. The Orioles today announced that they have named WAYNE KRIVSKY as Special Assistant to the President of Baseball Operations. The former Executive Vice President and General Manager of the Cincinnati Reds brings over 30 years of experience in baseball operations to the organization and will be involved in all aspects of the Orioles’ major league operations, including scouting, contracts and other baseball administration responsibilities. Krivsky’s three decades of experience include nearly 27 seasons as an assistant or special assistant to general managers in the Texas Rangers, Minnesota Twins and New York Mets organizations, with scouting and player evaluation experience at all levels of development. Krivsky most recently served as special assistant to Mets General Manager Omar Minaya during the 2008 season. 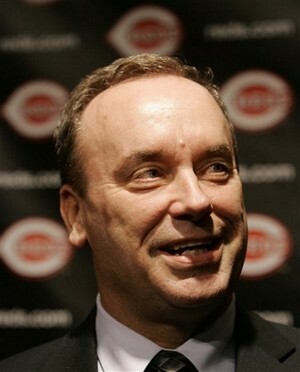 Prior to that role, he spent over two years as Executive Vice President and General Manager of the Cincinnati Reds. As General Manager of the Reds, Krivsky was responsible for the acquisition of some of the team’s best young players. He signed pitcher JARED BURTON and outfielder JOSH HAMILTON through the 2006 Rule 5 draft and acquired second baseman BRANDON PHILLIPS from the Cleveland Indians in exchange for a player to be named later in April 2006 and infielder JEFF KEPPINGER from the Kansas City Royals in exchange for a minor league pitcher in January 2007. Krivsky then sent Hamilton to the Rangers in exchange for 2008 All-Star pitcher EDINSON VOLQUEZ and pitcher DANNY HERRERA in December 2007. The 54-year-old began his baseball career in January 1977 in the ticket department of the Rangers, moving to the Baseball Operations department two years later as assistant director of player development and scouting. He was promoted to assistant general manager in October 1980 and served in that capacity for Texas until he was hired by the Twins in December 1994 as special assistant to general manager Terry Ryan. He became assistant general manager for Minnesota in November 1998 and spent over eight years in that position before he was hired in February 2006 as the Reds’ General Manager. Krivsky was born in Niagara Falls, New York and is a 1972 graduate of New Canaan (CT) High School. He attended Duke University, where he played baseball for three seasons and earned a degree in management science in 1976. Now, Krivsky -- who had some hits and misses as the former GM of the Reds -- has nearly three decades of experience in Major League Baseball. I don't know a lot about him aside from what I have seen from the media and some Reds blogs, but his knowledge might serve some value to MacPhail, especially on the scouting and talent side. Since we're well into the off-season now, I'm going to spend the next week or so and go through the roster and assign players grades along with some brief opinion what I think of them. Kevin Millar has had a fine career, but his career his obviously close to the end of the road as evidenced by the last two months of the season. He was a decent glove at first base, and provided some pop; otherwise that, he didn't instill a lot of confidence with me at all. Keep in mind, his numbers weren't terrible, but they are not what you expect from a first baseman at all these days and his numbers were down all across the board based on what he's done career-wise. Millar is a great clubhouse guy, and a fan favorite; however, he's 37, and I'd like the organization to move on from him along with see what's out on the market. Hell, I'd rather give Huff first base than him, but I have a sneaking suspicion that he'll find his way back to Baltimore if we can't sign a slugging first baseman. Brian is no doubt one of the faces of the organization through his charity work and interaction with the fans, and his 2008 season once again proved why he's one of the best lead-off and second baseman in baseball. He's a good all around player with speed, some power, hits for average, and was solid from the start of the season to the end. Whether he should be traded is another topic, but I think if the Orioles consider his age (almost 31) to be an issue and do a full rebuilding program, he might be a name (to the sadness of some fans) that could, and probably should be moved if he and the team cannot come to terms on an extension. I didn't know what to expect about of Huff this season, but I was pleasantly surprised and elated at what he did at plate. Considering the way he started things off with fans before the season with his appearance on the "Bubba The Love Sponge Show", the boos he encountered early turned to cheers because his bat did the talking for him. He finally broke through in 2008 and showed why the Orioles bestowed such a contract on him in the first place. His numbers steadily improved throughout the season, and he kept the offense rolling, especially in the summer months. I don't know if his season was an aberration, or a sign that he's back as a force at the plate, but the Orioles should be looking for a lot from him in 2009. Keith Van Valkenburg of the Sun via his blog, "The Life of Kings", gives us another viewpoint concerning the way Andy MacPhail does business and his attempt to sign Nick Markakis to a long-term deal. We all know MacPhail can be deliberate, methodical, intrepid and yet -- that word, again ... slow -- however, I'd prefer this approach at times rather than the quick, let-get-it-done and without covering all the bases way of thinking. However, if you're Nick Markakis, you're probably saying, "why can't I get what's mine..."
While it's true that the Orioles have plenty of leverage right now, the longer the team waits, the more valuable Markakis becomes. Literally, each day that passes is a day his value goes up. Maybe it's by $100, maybe it's $100,000, but the point is, he isn't getting less expensive the longer you wait. This is a stock that's only going to climb in value over the next 10 years. The fact that the two sides say negotiations are moving very slowly suggests, to me, that they are light years apart and that the Orioles haven't yet decided to get realistic about Markakis' value. When Tampa Bay locked in Longoria for six years at $17 million plus a number of option years even though he'd only played six major league games, it suddenly became the smartest deal in baseball. The player gets financial security and peace of mind, and the team gets a gigantic bargain later in the contract when the player is playing for half of what he's worth on the open market. Fausto Carmona, Robinson Cano and Jake Peavy signed similar deals before they became arbitration eligible. Conventional thinking in baseball has changed. The rules might allow teams to pay their young stars the league minimum, but that doesn't make it wise. Markakis got married last year and plans to make his home in Baltimore year-round. Right now is exactly the time in his life when he wants to make certain his family will be taken care of forever. He's not going to starve on half a million a year, but also might not be able to buy that dream house he wants just yet for his family (putting down permanent roots in Baltimore). And while that might seem, to most of us, like an absurd thing to worry about in this economic climate, it might tick off a professional athlete who has already proven he's one of the best in the league. The first $25 million matters a lot more than the next $25 million. If nothing else, it gives him immediate peace of mind and lets him go into spring training without a single distraction. I'll never understand where the principals are coming from -- I'm just a fan, with a decent job and limited athletic talent -- and it drives me wild to hear billionaires, millionaires, and soon to be millionaires squabble and whine over money along with contracts. At this point, MacPhail is doing his job and trying to build the team in his own image; meanwhile, Markakis wants to get paid and have some financial security. I'm an advocate of giving Nick Markakis a deal sooner, rather than later -- not because I'm feeling sorry for or want him to be secure -- because he's shown himself to be one of the best right fielders in baseball, and he may not have reached the top of his athletic ceiling. He's now established as a cornerstone of the franchise, he's young, plus wants to be with the organization, so let's just have him content and focused only on baseball now. Over the past few days, a lot of people have reacted in let's say in a negative fashion -- especially on the internet and on sports talk radio -- as to what the Orioles are doing so far with the free agent market. Of course, the man at the top -- Andy MacPhail -- is getting the brunt of the criticism for being, um, "too slow". With the exception of a few years, the notion of a "winning" Oriole team since 1990 has not existed and that's why a change was made in the middle of last season. MacPhail was hired by Peter Angelos -- with a nudge from commissioner Bud Selig -- to try to restore the Baltimore franchise back to prominence. So far, I'd say he's done a decent job and of course his two most notable deals involved the trade of Erik Bedard and Miguel Tejada in exchange for prospects and everyday major leaguers (Adam Jones, serviceable Luke Scott, George Sherrill). Despite the changes to the roster and early success in 2008, the Orioles only finished with 68 wins. Considering how bad most though the team would be in the media, I thought things were going in right direction in light of the final six weeks. However, after 11 losing seasons -- fans are restless -- especially with hometown players Mark Teixeira and A.J. Burnett on the market. Some fans want deals made (now) and the Orioles to be super aggressive although much very little has taken place in terms of transactions beside talk. Add to that, the situation with extensions for Brian Roberts and Nick Markakis, or not moving a few players -- you've got the seeds of discontent. Whether or not we sign a marquee name or extended anyone, this much I am sure of -- MacPhail has a pretty good track record, and he should be given a chance to do his job. He's only been in town for about a year-and-half, and it's unrealistic despite signing Wieters along with the big names on the market for the team to improve -- especially being that the Orioles play in one of the toughest divisions in all of sports. What has happened with the Baltimore Orioles over the past decade did not happen overnight -- it was a combination of bad drafts, limited player development, players not working out & bad free agent moves that have led to this state. Honestly, it's not going to be fixed overnight, either. I expect at least two or three seasons to pass by before the team returns to respectability -- if we assume it all works out. If we get either Teixeira or any big name -- that's wonderful -- however, to build a consistent winner, spending on the market can help immensely, but you have to build an organization from the ground up. Rebuilding is going to take time & a lot of patience, but at this point, do fans have it with the team and Andy MacPhail? Teixeira To The East Coast? While up watching SNL and trying to kill some time this evening, I wandered to boston.com and read a short little post via Chad Finn's blog on their website about an appearance that the slugger made during the Georgia Tech/Miami Game on ESPN this past Thursday. You probably don’t care about the beatdown Georgia Tech’s triple option handed Miami last night, but the broadcast, at least at one point, likely would have piqued your interest. Mark Teixeira attended the game, watching from the sidelines with fellow free agent and Scott Boras client Jason Varitek. ESPN’s Erin Andrews chatted with Teixeira, who said his hope is to choose a team and sign a contract by Christmas. "I don't want to put a timetable on it, but Christmas morning," said Teixeira, who, like Varitek, was an All-American at Georgia Tech. "I want to know where I'm going to be for the next couple of years, so hopefully, by Christmas it will be done." “I want to go where I can win and my family is happy," Teixeira said. "Whether it's the East Coast -- that's where I'm from -- but I loved playing in Anaheim, too, so we'll see what happens." I don't know what to think about the above series of paragraphs, but I'm still not totally convinced Mark knows where he's even going to play next year. I'd like to be confident that he's coming to the Orioles -- most everyone knows I'm not -- but I think he'll still go to where he can make a fortune and have a chance to win. Of course, Ken Rosenthal of FoxSports.com disproves my point. It still appears doubtful that Teixeira will choose the Nationals or even his hometown Orioles when he has better options. But another Boras client, Alex Rodriguez, stunned the baseball world by joining the then-lowly Rangers as a free agent after the 2000 season. Teixeira, 28, could justify signing with the Nationals by saying he wanted to be the face of an emerging franchise in the nation's capital. He could rationalize signing with the Orioles by saying he wanted to spark their revival at a time when the team finally is starting to develop young talent. Right now, that eliminates Washington and Baltimore -- in my honest opinion -- however, anything can happen. I was somewhat optimistic that the Orioles in 2008 -- at least until the end of July -- could approach the .500 mark and perhaps start looking forward to finally getting out the AL East cellar in 2009. Well, obviously I was proven wrong and a couple of people called me out on my high hopes as the team flatlined from mid-August until the end of the season. As much as I'd like to disagree with this assessment, I agree with it. It looks like your young pitching needs more time, seasoning, and at this point I would only pencil in Jeremy Guthrie as a starter. I think no matter who we acquire from the free agent market -- whether it be a Teixeira, Burnett, Izturis, Byrd, or anyone else -- how does that impact the rebuilding process? Do we see steady improvement, or are we destined to repeat the same mistakes for the past decade? While we need some free agents to make the team more competitive in the near future, no one should be fooled into thinking we'll have a plan to contend unless the organization is built from the bottom up. While the foundation and the blueprint may be laid out, the Orioles are not even done building the first floor of the house despite some promising arms in the minors and Matt Wieters. More than three years after the Orioles released and terminated the contract of Sidney Ponson after his third arrest in a nine-month span, a grievance arbitrator will finally decide how much money - if any - the organization owes the pitcher. Orioles general counsel Russell Smouse confirmed yesterday that the grievance would start being heard Dec. 17 in Baltimore by arbitrator Shyam Das. The hearing could take several days, and there is no definitive timetable for Das to render a decision. 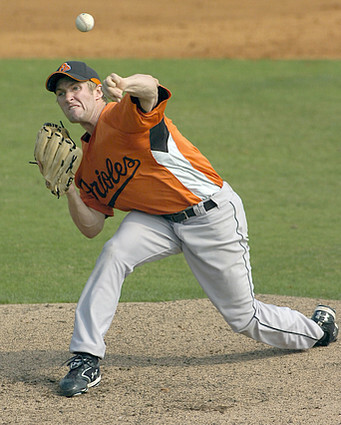 The Orioles released Ponson in September 2005 and refused to pay him the remaining $11.2 million on his three-year, $22.5 million deal. The Major League Baseball Players Association immediately filed a grievance against the club, trying to recoup the rest of the money on his guaranteed contract. "We look forward to a positive outcome in Sidney's grievance," said Barry Praver, Ponson's agent. In my knowledge of the law, the case should come down to what the specific language in the contract states about behavior and what happened during his tenure with the organization. Sidney may have been ornery as well as a lush, immature and utterly stupid -- however, it will be up to a third party to determine if his behavior warranted him having a contract voided. WNST's Drew Forrester and Thryl Nelson give their thoughts on whether Teixeira is coming to the Orioles, or that matter -- anywhere else. Meanwhile, according to the nationals.com, Mark wants to play in D.C., while Team President Stan Kasten gives an awfully vague answer or non-answer depending on how you see it; Boston.com says the Red Sox are in love with him and that be an understatment if you read Tony Massarotti's blog on that same website. My personal opinion: I see nothing at the moment that makes me think he wants to come to Baltimore for the sake of it being "home". If that was the case, he (um, Boras - I should say and who seems to be clearly in the driver's seat) would have started some dialogue with the team as soon as they could. I think Mark going to the highest bidder and a place where he thinks he could win. I also do think he is taking his time and exploring his options. Maybe Baltimore might be a place he'd come to -- albeit, assuming that the organization upgrades at a few positions -- or he chooses the lure and exposure that New York, Southern California, or Boston may offer him. The Orioles *may* get him, but based on what I have read around the web and forums, a lot of people may be in for a rude awakening if he decides to go somewhere else. Then again, right now, Baltimore has a good chance in getting Teixeira as anyone. Roch Kubatko ponders about the Cubs and Roberts; meanwhile, the Sun's Dan Connolly debates whether former Oriole Mike Mussina goes in as a member of the black and the orange, or part of the Evil Empire (eh, I think he goes in as a Yankee) & Glenn Clark of WNST, Oriole Central, Camden Chat, The Washington Post, PressBox Online as well as Jay Trucker of the Examiner also join the fray. The Orioles announced their 2009 Spring Training Schedule, and yes, they are going to play in Fort Lauderdale; The great Roar from 34 gives us news and bits from Oriole-land, including the struggles of the Sports Legends Museum -- which comes as no surprise to me at all -- considering how much the team has struggled. Like I have said in the past, the struggles of the Orioles and the falling attendance for the past several years have had a dire impact on businesses near the ballpark, and it's no surprise to hear the bad news. The profitability of the vendors around the ballpark, restaurants, bars and hotels are invariably tied into the success of the baseball team. If no one shows up to the games -- no one buys anything from the businesses around the ballpark; thus, it is little wonder why businesses in Baltimore welcome Yankee and Red Sox fans with open arms? From The Baltimore Sun: The Orioles have talked to the representative for free agent Cesar Izturis, the latest indication that the slick-fielding shortstop is at the top of their list to fill the team's vacancy at the position. Izturis, 28, hit .263 last season with one homer and 24 RBIs in 135 games for the St. Louis Cardinals. He's a career .260 hitter over parts of 10 major league seasons that include stints with the Toronto Blue Jays, Los Angeles Dodgers, Chicago Cubs, Pittsburgh Pirates and Cardinals. Orioles president Andy MacPhail wouldn't comment on specific options, though he again reiterated that finding a shortstop is one of his offseason priorities. The Orioles used six different shortstops last season and none is on the team's 40-man roster. "Whatever we are going to do, I am pretty confident that it's going to be a significant improvement over what we had, not that that is a high bar," said MacPhail, who has yet to make Izturis an offer. I don't know if I am a huge fan of Izturis; however, he brings experience and a steady glove to the table and of course -- he is a former CUB. We obviously a much better shortstop and stability at the position, but I think the Orioles should be looking for someone superior and who's got some pop. Honestly, Izturis would not be a liability in the Orioles lineup -- assuming it can replicate it's 2008 numbers -- alas, does anyone expect that to be replicated considering the career year both Huff and Mora had? I'd like a shortstop whose offensive numbers may be superior -- mainly, Edgar Renteria, Rafael Furcal and perhaps Orlando Cabrera; however, getting one of three would come with a huge cost -- mainly, draft picks and obviously money. If Iztruis is signed, let's hope his glove can also help the defense, and the Baltimore pitching staff which may need all the help it could get (assuming Burnett or a veteran isn't signed). Regardless of who is signed or whatever, there needs to be a better solution for next year than what was offered in 2008. If you have a moment, or you want to save money, mlbshop.com is having a 30% off sale; thus if you're looking to get an Orioles jersey -- especially, the road ones -- you could save quite a bit until Friday. It looks like former Oriole and Yankee Mike Mussina is pushing towards retirement. No matter you feel about him, you cannot deny the career he's had. He will more than likely be a Hall of Famer for sure. From all appearances, the venerable Ken Rosenthal of FoxSports.com just broke the news about a 1/2 an hour ago. Fox Sports: Yankees right-hander Mike Mussina is retiring. Mussina will make his decision official later this week, major-league sources say. The Yankees, who are aggressively pursuing free-agent starting pitchers, were not expecting Mussina to return. Mussina, who turns 40 on Dec. 8, is coming off the first 20-win season of his 18-year career. He is selling his home in Bedford, N.Y., according to one source, and planning to spend more time with his family in Montoursville, Pa.
Mussina held off his announcement until the completion of baseball's award cycle. He recently won his seventh Gold Glove, tied for sixth in the American League Cy Young award voting and even received one eighth-place vote for Most Valuable Player. A first-round pick of the Orioles in 1990, he finishes his career with a 270-153 record and 3.68 ERA. His victory total falls short of the unofficial Hall of Fame standard of 300 wins, but his candidacy for the Hall will be enhanced by the fact that he pitched in the Steroid Era and spent his entire career in the offensively oriented AL East. Like I said, he's had one hell of a career. I'm sure at this point, his family commitments are tugging at him, and baseball has been very good to him. There were quite a few happenings today with the media via media reports -- they're aren't huge moves; nevertheless, we've got activity going on. The Orioles added five guys to the 40-man roster -- pitche Brad Bergesen, right-handed pitcher David Hernandez, right-handed pitcher Chorye Spoone, left-handed pitcher Wilfredo Perez and outfielder Nolan Reimold to the 40-man roster -- as well as signed catcher Jose Reyes to a minor league deal. Again, the team has simply added more bodies to the roster as well to protect a few of them from the Rule 5 Draft; however, you cannot discount the job that Bergesen, Hernandez, and Reimold did down at the lower levels in 2008. Also, the Baltimore Sun has reported that Andy MacPhail is looking to fill the front office position that was vacated by Scott Proefrock this week. Orioles president Andy MacPhail is in the "beginning process" of adding someone to replace former director of baseball administration Scott Proefrock, and one possibility is former Cincinnati Reds general manager Wayne Krivsky. MacPhail said he has spoken to Krivsky and "absolutely" would consider him a candidate for the job, but said no interviews have been set up. "Frankly, there are other things that we are really attending to at this time," said MacPhail, who added that the front-office position probably wouldn't be filled for weeks. "We'll also look internally. It doesn't have to come externally." Now, Krivsky -- who had some hits and misses as the former GM of the Reds -- but has nearly three decades of experience in Major League Baseball. I don't know a lot about him aside from what I have seen from the media and some Reds blogs, but his knowledge might serve some value to MacPhail, especially on the scouting and talent side. Then again, it's too early in the game for to even consider Krivsky is a candidate for the job. It looks like Cal Ripken's trip to Nicaragua has come to an end due to some violence and protests that took place on Sunday in the city of Leon. As noted by the Washington Post on Sunday, an event like this seemed to be bound to happen as Nicaragua has been torn by strife due to recent elections; however, despite it all, I'm sure the kids down there who got a chance to learn from a legend are that much richer. Finally, super agent Scott Boras is hosting a Q&A chat on the USA Today website at 11 a.m. on Wednesday. He may have made the sport -- for better or worse -- a more profitable one for the athletes you see on the diamond today. It looks like Hot Stove Season has started off with two signings -- pitcher Brad Hennessey and Donnie Murphy. From Roch's Blog: The Orioles announced today that they signed pitcher Brad Hennessey and infielder Donnie Murphy to minor league contracts that include invites to spring training. Hennessey, 28, has appeared in 148 games with the San Francisco Giants over the past five seasons, going 17-23 with a 4.69 ERA in 360 2/3 innings. He pitched in 17 games this season, going 1-2 with a 7.83 ERA. At Triple-A Fresno, he was 7-10 with a 4.83 ERA in 21 starts. In 44 major league starts, Hennessey is 11-15 with a 4.72 ERA. Sounds like insurance in case some of the young arms aren't healthy or ready. Murphy, 25, has appeared in 221 major league games with Oakland and Kansas City. He batted .184 with three homers in 46 games with the Athletics this season. At least he's versatile. Murphy, a utility candidate, has started 39 games at shortstop, 37 at second base and 18 at third base in the majors. The Orioles often start small and work their way up this time of the year. Don't worry, they're not finished yet. There ya go. At this point, considering how thin the roster is in terms of talent at the both the major and minor league level, these two men may be in a long line of many that may have a spot in the Orioles organization. In other news, there's a departure from the Orioles' front office. From the Baltimore Sun: Orioles President Andy MacPhail lost one of his top executives today as director of baseball administration Scott Proefrock was hired by the world champion Philadelphia Phillies to serve as an assistant to new general manager Ruben Amaro Jr.
Proefrock, who had agreed earlier this offseason to a two-year contract extension with the Orioles, was hired by the club after the 2005 season by executive vice president Mike Flanagan. Proefrock was the executive in charge with interpreting Major League Baseball rules and handling arbitration cases and other contractual and business matters. It's unknown at this point if or when MacPhail will hire a replacement for Proefrock. Proefrock came to the Orioles after working 10 1/2 seasons in the Tampa Bay Rays organization. With Tampa Bay, he served as an assistant to then GM Chuck LaMar, who was recently promoted by Amaro to assistant GM of player development and scouting for the Phillies. Obviously, most fans like myself are not familiar with Mr. Proefrock, but it sounds like his work was vital within the business side as well as the nuts and bolts of the organization. I'm sure the Orioles will miss Proefrock and his contributions; however, it sounds like he's getting a wonderful opportunity to become part of something just up the road on I-95. Teixeira To The Red Sox? Yay Or Nay? Aside from obviously Baltimore and Washington, the only other team that I have heard give any interest to the slugger are Boston and the Los Angeles Angels of Anaheim. Today, Buster Olney in his blog on ESPN.com & Sean McAdam of the Boston Herald ponder if the Red Sox are really serious in their pursuit of Teixeira, and I have to think they kind of are -- in a sense. While they could use his bat in the middle of the lineup -- I don't think they *need* him unlike both the Orioles, Nationals and Angels do, considering they have Kevin Youkilis (a great player in his own right) at first, and of course Mike Lowell at third. One of them would have to be moved; thus, more than likely it would definitely have to be Lowell. While for a bit, I think the Red Sox were posturing in order to drive the price up for the Yankees and avoid having him in the AL East, Boston acquiring him would make sense. First, they would have a Gold Glove caliber first baseman; second, he would provide ample protection for David Ortiz; finally, the slugger's numbers would benefit even more from playing 81 games in Fenway, especially for the fact he could take adavantage of the cozy dimensions in right field. We shall see what happens, and of course at this point, I expect the unexpected with this whole saga. Then again, much like what happened with Torii Hunter, some mystery team could come and grab him; however, right now it is looking as if Baltimore has a good chance as anyone in getting Teixeira. If you a chance today, take a look at the Washington Post and their article chronicling Cal Ripken's trip to Central America, in particular, the country of Nicaragua. Ripken -- the Hall-of-Famer and Oriole legend -- is working with former pitcher Dennis Martinez in trying to foster and spread the game to children down there as a envoy with the U.S. Department of State. He's also got a running blog of his day-to-day activities down there on the MASN Sports website; however, the Post article gives a much more in-depth account amidst the violence, changes, politics, and upheaval in the war-torn region. It's a very interesting read, and shows you why Ripken and the work that he's involved in transcends the game itself. Before I go, here's a page I found some of great photos of Cal Ripken's trip taken by Kathy A. Adams on Flickr. Other than that, not much else has happened with the Orioles and the Hot Stove aside from the organization coming to terms on minor league deal with former A's utility man Donnie Murphy. Jersey Feedback, Did You Get One Or Not? The home jersey is $149, and the road one is $159 (perhaps due to assumed demand and popularity). I know of a few people who went ahead and bought the jerseys when they first went on sale; meanwhile, there were a few like me who bought them off MLB.com (only because my time was extremely limited on Wednesday and I could ill-afford to head upstairs and look at them on my schedule). I got the road version with 'Baltimore' on it. Also, I know a few people who have decided to hold off due to monetary reasons, or they are waiting for a cheaper, replica version to go on sale. Considering the state of the economy and just the expense of buying one, most seem willing to wait to save the money, buy it when they can, or skip doing so. * The Orioles and Nationals jersey change. * The economy, tickets prices, and the sport of baseball. * What will free agents get this season? * Trever Hoffman and the Padres. * Free Agents and the Hot Stove. Are The Yankees Out Of The Running For Teixeira? Could one of our main rivals be out of the Mark Teixeira race? From the New York Post: FREE agency began at midnight today. The raging speculation has been that the Yankees New York Yankees will sign CC Sabathia, Mark Teixeira and another high-end free agent or two such as Manny Ramirez, Derek Lowe or A.J. Burnett. General manager Brian Cashman termed that conjecture "crazy talk." In fact, in an exclusive interview with The Post, Cashman strongly indicated the Yankees will not even sign Sabathia and Teixeira in tandem. "At the pricetags I have read, that is fantasy land, not reality land," Cashman said yesterday of bringing in Sabathia and Teixeira. A Yankees executive said the club has not even created scenarios for assembling a 2009 roster in which it signs the most attractive starter and position player in the free-agent market. The plan is to concentrate on starting pitching, namely Sabathia, and - at best - Teixeira is a backburner issue in case all the rotation avenues prove fruitless. Teixeira was pushed further to the backburner yesterday when the Yanks obtained Nick Swisher, who, as of now, projects to be the starting first baseman. Could this be good news for O's fans? I don't know. I could see Swisher being the first baseman -- or a utility guy who could play anywhere. Teixiera will be expensive, and the Yankees are targeting Sabathia; however, I don't think money may be an object with them with a new ballpark opening up in the spring. At this point, I think Boras and Teixiera just wait things out and see what fruits the market bear and if they get their demands before he even signs with anyone. From the NY Daily News: The Yankees made the first move Friday in what they hope will be a winter pitching spree by offering star lefty CC Sabathia a contract believed to be worth $140 million over six years, according to multiple baseball officials. If Sabathia ultimately signs for that much or more, it'd be the biggest deal for a pitcher in baseball history. Johan Santana inked a six-year, $137.5 million contract with the Mets last winter. The Yankee offer is "slightly better" than Santana's deal, according to one official. The Yankees aren't stopping there, either. In the next day or so, sources said, they will make first-strike offers to AJ Burnett and Derek Lowe, as well, in an effort to solidify their starting rotation. First off, the new jerseys are seemingly a hit with everyone and have almost universal praise -- even from some in Washington. Marc Fisher of the Washington Post gives the organization kudos about their new threads. Now, he is certainly no fan of the Orioles, and especially Peter Angelos; however, he gives nothing but compliments for how the event on Wednesday was handled along with reaching out to the customer base throughout Maryland. Scott Hoffman of Orioles Hangout has a great article on their website about how great the uniform change was how it resonated with a lot of fans; Pete Kerzel of Pressbox Online also has piece on the uniform change, as does the Examiner. The Roar from 34 gives their stamp of approval with the new threads as does the Wayward O; The Loss Column says the event on Wednesday was a smashing success and as well let's us in on what the team needs to get out of the cellar in the AL East; SC of Camden Chat wants us to dig the new uniforms and goes into some tidbits about how everything is shaping up the Free Agent market. Peter Schmuck's blog on the Sun is being manned this week by Jeff Zrebiec, and he says we should consider Aaron Heilman, talks about Burres' eye surgery, the bullpen, Markakis and free agency. Dan Connolly ponders if Mark Teixiera is worth $20 million per year for Baltimore; Pete Kerzel wonders what the O's will do in free agency. Drew Forrester of WNST thinks that Peter Angelos finally deserves some credit ... but also takes him to task, Chris Oika wonders if the uniform changes were done to bring Baltimore back into the fold, or to reach to the entire state of Maryland; Bob Haynie likes it, but more needs to be done -- like upgrading the team & Bryan Powell wonders if the jersey changes will even matter? I think it was much appreciated it was done; however, it's like a new car smell -- it goes away, and at some point reality hits. You're going to have repair it, fix it, etc. The Orioles have to do with plenty of that with their team. Dempsey's Army has a rundown of what's going on in Oriole-land and Sixteen Gold Gloves goes over the off-season; Spencer Fordin has another mailbag on the orioles.com site & also let's us know about prospects on the rise, and the Baltimore Sun has more than plenty about the O's on their website. Today starts off what comes consider to be the second season in Major League Baseball -- the free agency period -- where teams will try to improve via signings, or perhaps flounder because of a player who doesn't work out. Well, the action here does not take place on the field, but in boardrooms, offices, also on the internet, going back and forth via email and using up your cell phone minutes, and also the time-honored tradition of wining and dining. With all the players out there available via free agency, where do the Orioles and so many teams stand? For those who root for the black and the orange, will the money that the organization be enough to bring Mark Teixiera back home to Baltimore, or lure Maryland native A.J. Burnett? Or will the two men spurn the comforts of the familiar for riches and fame in larger markets? Could we make a splash and shock many by signing Ben Sheets, Adam Dunn, Manny Ramirez, Derek Lowe or a C.C. Sabathia (yeah, in our pipe dreams). Do we have to drag through the bargain bin to find an arm or two, or three? Will we find a shortstop for the long haul -- among Orlando Cabrera, Rafael Furcal, Edgar Renteria and a cast of a dozen plus -- before pitchers and catchers report? Do we build through trades rather than open up the check book? Do we finally extend Markakis? Does Brian Roberts finally get tired of the losing, turns down an extension and decides to move on? Will Daniel Cabrera get it on the mound and tap into his physical gifts to become what the Orioles need? What about not-so-much-youngsters Radhames Liz and Garrett Olsen possibly finding some consistency? Does Jamie Walker at his age bounce back? What will we see from Chris Ray and Danys Baez? What happens with George Sherrill? Do we finally see Matt Wieters make the team or longtime minor league incumbent Nolan Reimold finally taste the major leagues? Do we see the Orioles make an expected turnaround like the Rays? Or do they inch closer to .500, or stay stuck in neutral? Will the economic state of America reach into the game? Do free agents -- aside from the cream of the crop -- see their contracts not turn out to be as expected? Do fans still come back to the Yard, or any other of the 29 ballparks in America, or stay away in droves? The baseball world will be watching to see where everyone goes in the Second Season. It can be frustrating, or fun; nevertheless, anyone who cares about baseball will be watching. From the Baltimore Sun: Nick Markakis acknowledged that his agent, Jamie Murphy, has been talking "back and forth" with MacPhail about a contract extension on his behalf. However, Markakis, the team's star right fielder, who is eligible for arbitration this offseason, said the two sides have taken only "baby steps." "It's real slow right now," Markakis said. "It's been a slow-moving process." Asked whether he would like the negotiations to move faster, Markakis said: "It doesn't matter to me whether it's done fast or slow. I just want it done right." MacPhail backed Markakis' assessment, saying: "I would say we're still in the opening stages. It's one of those things where if the two parties are motivated to do something, you generally find a common ground. We'll see. We're still talking in terms of length and duration. We haven't thrown any numbers around." Well, like I have said before, the Orioles are under no obligation offer Nick Markakis a contract for the sake of offering him one. If the organization cares to, they can keep giving him one year deals and going through arbitration until he hits free agency. However, any baseball fan with a pulse knows that Markakis is the real deal after seeing him for the past three seasons. At this point, the Orioles have to take a risk, extend an olive branch and sign him long-term. I've seen enough of him to deduce he's a solid -- if not impressive -- major leaguer. I always knew he was great talent -- however, I would not have considered him a leader of the team until recently and he's shown that he wants to be a part of the future in Baltimore. He's a known entity -- and a good one -- it's time to keep him in a Baltimore uniform. I'll tell you one thing -- if he were in Boston, Los Angeles, New York or Chicago -- he'd be a God and get the attention youngsters like Dustin Pedoria receive nationally. We all know that MacPhail likes to move deliberately and take all things into consideration. Obviously, he works for the Orioles and not so much the fan base -- however, if the team wants to keep the fan base convinced that brighter days are ahead, Markakis at some point this winter should be given a long term deal. Well, although the new jerseys are a hit with most Oriole fans in one shape or another, down the Parkway, it's a different story. Yes, some fans of the Nationals are none too pleased that MASN aired the Orioles rally and jersey unveiling, while the Nats -- who too had new uniforms unveiled -- didn't have any coverage on the network. With all due respect to Nats fans, I think some of the anger is misguided. MASN is a Baltimore-centric station -- I'm in agreement there 100% percent -- however, I'd be more angry at the Washington organization for not doing more to promote, jazz up an event and get some of the players in town. The Baltimore organization went all out for this one, and you can't give them enough credit. While I can understand Nationals fans frustrations, I don't think Washington's jersey event even matches the significance of what went on in Baltimore. I was not at the ESPN Zone in DC, but the Baltimore Orioles put on an *event*, the media had umpteen stories on the jerseys, players were *actually* brought in (not just one guy),and it was promoted heavily -- alas, I'm not sure the Nationals put in a fraction of the same effort or had the media bandwagon on it. The Orioles made their event important and there was a whole back story to it ("Baltimore" on the jerseys and building fan discontent). The Nationals, as much as we love them, more or less wanted to sell more merchandise and make a change, well to make a change (specifically branding). I have not heard of the Nationals having a fan fest yet (there was not in '08) -- but if they do, MASN should cover it much like what they did with Orioles in the spring. Oriole Aubrey Huff today won the Silver Slugger as a DH, and I'm sure he could not be any happier. 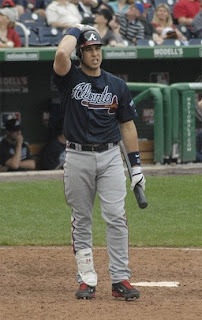 After struggling in 2007, he came on fire in 2008 with a .304 average, 32 home runs, and 108 RBIs. I've been tough on him for his statements made earlier in the year; however, the award is well deserved, and congratulations. The fans got to see the new uniforms unveiled in the heart of downtown Baltimore this afternoon. It seems like the Baltimore Orioles made a concerted effort to get people out and they responded. I don't think I need to elaborate any more on them, most of the media and sports websites in the region have something about the event already. It was streamed live on MASNSports.com and on the MASN cable network. What I saw today were the die-hards and the people who actually still care about baseball in Baltimore support their team in the middle of November -- an awesome feat. It looked like there were fans at all levels of the mall observing the festivities -- almost all dressed with some Oriole paraphernalia on -- along with people walking the facility on their lunch break. The venue was crowded -- perhaps overly so, especially near the escalators -- however, the people in attendance could have really cared less from my observation. Brian Burres, Dennis Sarfate, Jeremy Guthrie, Nick Markakis, Chris Waters, Adam Jones, Jim Palmer, Boog Powell, Andy MacPhail and Dave Trembley were there. The new threads are nice and not over the top. Right now, if you surveyed most O's fans, they love the Baltimore road uniform - especially; however, I could live without the orange and black band around the sleeves of the home threads. The patches on the shoulder are a nice touch, but not too big to be obtrusive. One thing that I think could be omitted is the 'Baltimore' on the sleeves of the alternate jersey, as anyone who follows the team identifies 'Baltimore' with the Orioles, and vice versa. Why it took so long to do this when the customers wanted it, we don't know; however, today it feels like the prayers of many have been answered. It seems like the Orioles -- deserved or not -- have been beaten around like a pinata by many over the years; however, on Wednesday, it was a job well done by the team, as well also great to see the players in the community and everyone respond to it. Like I said, I care more about how the team changes on the field -- not so much the wardrobe they wear -- however, some more tidbits came out on the team's new threads courtesy of the Baltimore Sun. The Orioles' logo and the bird on the team's caps have undergone alterations. There are also changes in each of the team's three jerseys, some more subtle than others. But surely, no change will attract as much attention -- and be met with as much applause -- as the addition of "Baltimore" to the team's road jerseys for the first time in 36 years. "Anytime we have a situation where our fans are requesting something of the club, we, of course, listen and try to accommodate whenever possible," said Greg Bader, Orioles director of communications. "One of the things that we said is if and when we do engage in some sort of uniform change, it would not be strictly a reactionary move to do something that didn't help our brand and, in turn, help the organization and our fans in that regard." It's wonderful that the team has been in tandem with the wishes of the fans for a change in the uniform, but I think it also -- more or less -- improves the bottom line and get us all, especially those who stuck through the team through thick or thin to get us at least excited about something. "Peter Angelos gave us some very clear direction as to what he wanted to see," Bader said. "He wanted to make sure that we honored the past, paid homage to the great history that we have and that we directly showed our connection to our city, our state, our region and to the fans. We need to have a vision, to look to the future. While we make take elements of past looks and uniforms and identity, we should create our own identity based on the path that we are traveling." At this point, considering how far the team has fallen for many off the sports landscape regionally, it's a nice gesture to at least restore some connection with the team and the community. If this had been done sooner, perhaps more fans would be willing to spend money -- um, in the park. Home jersey: The Orioles' script across the home whites will stay the same, though two elements have changed. There will be an orange and black stripe around both sleeves and down the pants, replacing a thin, black line in both areas. There will also be a circular patch on the left sleeve, featuring a Maryland flag and the text, "Baltimore Orioles." 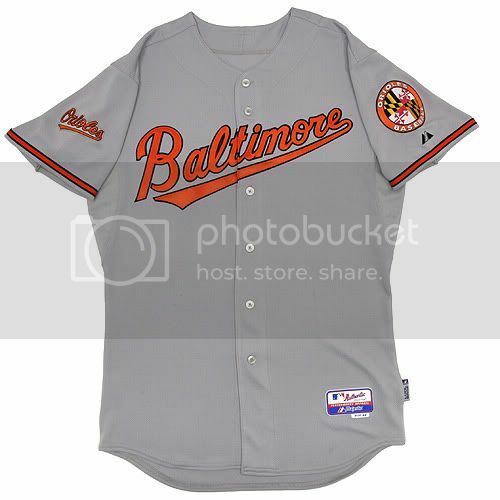 Road jersey: "Baltimore" will be across the front of the gray jerseys in orange and outlined in black and in lettering very similar to how "Orioles" is scripted on the home jerseys. The Maryland flag patch on the left sleeve will be surrounded by the text "Orioles baseball." 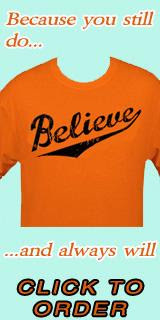 On the right sleeve, the "Orioles" script, which stretches across the home jerseys, will be written in smaller form. The uniform pants will also include orange striping. Alternate jersey: The black jerseys the Orioles have worn on most home Fridays since 2005 will have "Baltimore" scripted on the right sleeve and be adorned by the Orioles baseball and Maryland patch on the left one. Bader said that allows the club to wear the alternate jerseys in Friday games on the road, as well as at home. The black cap with an orange brim and "O's" on the front will remain. Cap/logo: The Orioles will not have a different cap for home and away games next year. Their 2009 cap, which is orange-billed, will feature a slightly different look because of changes made to the team's bird logo. The bird looks more like a traditional oriole with its head tilted upward and it feathers more outstretched and a more pronounced head, chest and neck area. The bird's feet are also more perched rather than flat. The logo will be outlined in gray, eliminating yellow from the team's color schemes. The team's batting helmets will also feature an orange bill rather than being all black like previous season models. The "swinging bird" logo will be on the left sleeve of the player's jackets and warm-up tops. I don't have a problem at all with the old uniforms -- I prefer a simple and clean look -- I'm not a fan of busy elements at all; thus, it looks like the new threads will be livened up from what we have seen recently. However, I just hope it's not too busy trying to embrace the state and region. Sometimes less is more when it comes to jerseys. From Roch's Blog: I was invited to the third floor of the warehouse today to take a look at the new Orioles uniforms, which will be unveiled at Wednesday's noon rally at The Gallery at Harborplace. I can't provide any specifics at this time, but keep checking masnsports.com before Wednesday at noon. I will say that some changes to the home, road and alternate jerseys and caps will be quite noticeable, others more subtle. The club wanted to strike a balance between giving a nod to its past and being contemporary and looking toward the future. Update: I forgot to mention earlier that team president Andy MacPhail, manager Dave Trembley and several current and former players - including Nick Markakis, George Sherrill, Jeremy Guthrie and Hall of Famer Jim Palmer - will attend Wednesday's rally. There is no admission charge. I'll be looking to seeing the team's new threads, and I'm sure they'll be a hit with everyone who loves the team. I'm not real big on uniform changes just for the sake of doing them, but I am eagerly awaiting to see what the road ones look like. Then again, I'd rather see the team starting winning more than anything. The departing president (in Jan '09) George W. Bush (good riddance for some) shaking Washington Nationals third baseman Ryan Zimmerman in late March at the Nationals' first ever home game at their new ballpark. Not that anyone knows or can predict what is going on Mark Teixiera, or any free agent -- but there has been huge talk in these parts (the Washington and Baltimore area) about brighter days ahead. From the Washington Post: It took two days, but the Nationals and Orioles finally seem to be entering the transactional white noise emanating from the GM meetings in Dana Point, Calif. According to both SI.com's Jon Heyman and MLB.com's Bill Ladson, the Nationals hope to surprise this offseason by signing legitimate stars. Both writers say the Nats are focusing on a clean-up hitter, with Mark Teixeira their top choice. Naturally, Teixeira's price tag may eventually prove prohibitive, but that may just push them down to the next tier of big sticks, with Prince Fielder and Adam Dunn serious possibilities. Just as tantalizing for Nationals fans is the prospect of Matt Holliday, whom the Nats have reportedly discussed with the Rockies more than once. The Rockies are likely to look for middle infield help -- that's one area where the Nats have plenty of prospects -- and pitching. Hard to think of which pitchers Washington could cobble together to make an offer come together, but if they could come up with any that would be a fit for Coors Field, that'd seem like a deal to pull the trigger on immediately, right? Or would the Nats require a window for contract extension talks? Funny how having Scott Boras as an agent complicates things, isn't it. The Orioles are starting to make some noise as well, with the San Diego Union Tribune reporting that they're still interested in Padres shortstop Khalil Greene. So are the Reds Tigers and, as of last night, the Blue Jays, though both the Red Sox and Padres put the kaibash on the rumored "Coco Crisp for Khalil Greene" talk from Monday. Ok, first let's start with Teixiera. You all know how I feel about him -- he's like the girl who says she will consider going out with you and thus gives her phone number hoping she'll call or text you; however, you know she's out of your league -- so, you'll never get the magic call no matter how hard you wish. I like positivity, but I am also a realist. I've been there, and Oriole fans will feel that way once you find out he'll go to where the big money is and for only a winner -- which means the Red Sox, Angels, or Yankees. The Orioles and Nationals should throw out an offer to him and ugh, Scott Boras -- something astronomical -- to see they'll bite. I think the end result will be "don't call us, we'll call you..."
Folks, he ain't coming to the Mid-Altantic to play ball full time, no matter how he wants to play near home or he says it will be a dream. Money and prestige will steer him, not sentimentality. As for our shortstop situation, as you know -- we need one for sure. It was a revolving door of guys last year and we ended up with Juan Castro to finish off the season. Naturally, he filed for free agency this week. Now, we need someone to fill in that position. Who do you think fills the bill? None of these guys fits what I'd be happy with, but Orlando Cabrera would be a decent place holder until we get someone younger in the fold. ed note: As someone reminded me who left me a post -- he'd cost Baltimore two draft picks -- so maybe signing him wouldn't be smart unless it was a last resort move. Khalil Greene might a be good candidate to play shortstop for us -- he's young and has power -- but his career numbers are nothing to be happy about, and the question is what would the Padres want in return? Edgar Renteria might be a good choice -- if it was 2005 -- but he's seriously regressed at the plate, and always been subpar in the field. I'd pass on him for now, unless you really cannot find anyone else. Perhaps we can sign him -- if we have to -- to a low-level deal with incentives, and hope he can find the magic again at the plate. Baltimore isn't going upwards in the AL East , so maybe it might be a good place for him to get back on his feet after a putrid year with Detroit. Felipe Lopez had a nice little comeback after being exiled from the Nationals when he was released and found new life in St. Louis; however, he's got one hell of a rep as a bad seed, and also a grouse, despite the potential he showed years ago. He might come affordable, and we can hope his ability might finally be manifested after nearly dying in Washington; alas, it's really buyer beware with him. At this point, I'd be kicking tires and hoping for the best, or see what can be acquired via trades. But right now, looking at the list, Orlando Cabrera may be the most attractive option for us -- for the moment.